In Riviera Nayarit our luxury is our nature and the magic of our people. This magic caught the attention of French documentary maker and environmentalist Yann Arthus-Bertrand (Paris, 1946) who chose Mexaltitán as one of the locations for his new production, entitled “Human”, which is expected to make its debut in the social networks in 2015. 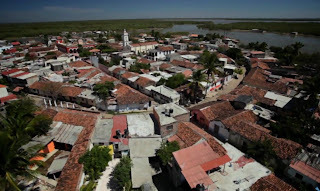 The production involved obtaining aerial footage and interviews with residents of this charming corner of Riviera Nayarit during the month of March. These will be part of his documentary, which focuses on portraying everyday life, dreams, hopes and concerns of human beings around the globe. “We have to admit that even though we live in the middle of the information era, with a constant flow of data, we know little about each other. How can we improve the future of the world if we’re completely unaware of the lives of our neighbors? Why not hand the microphone to those who don’t usually get a chance to say their word?”, explained Arthus-Bertrand on the objectives of this new documentary. The choice of Riviera Nayarit as one of the locations for “Human” represents a strong asset in tourism promotion, as this filmmaker uses social networks to promote his documentaries and distributes them for free, generating a massive distribution – his is first movie, “Home”, has already been watched by 600 million people around the world. The Convention and Visitors Bureau (CVB) of Riviera Nayarit is a non-profit association that operates under the direction of the Hotel and Motel Association of Bahía de Banderas in order to promote Riviera Nayarit. The CVB provided logistics support for this documentary, convinced that the exposure brought by the film will attract tourism and promote the harmonious development of all the people of Nayarit, as instructed by the Governor for the People, Roberto Sandoval Castañeda.